Wellington, the World’s Coolest Little Capital. Once dubbed the ‘World’s Coolest Little Capital’ by Lonely Planet, it’s not hard to see why Wellington charms travellers who are fortunate enough to visit this little gem of a city. Situated snugly between mountains and sea, Wellington boasts the perfect balance of cosmopolitan living and rugged countryside. The city is built around a hook-shaped harbour and surrounded by mountain ranges that get covered in a cloak of snow come wintertime. With stunning Victorian timber houses perched on hillsides above the harbour, it really is effortlessly pretty. 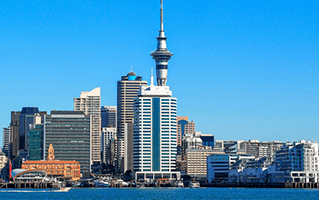 Upon arrival, pick up a rental car and be prepared to be wowed by Wellington. It’s a compact city, buzzing with an array of contemporary restaurants, microbreweries, world-class cafes and more delicious wine than you could drink in a lifetime, try as you might. And at just 2km across, Wellington is easily walkable, meaning you’re never more than a 10 or 15 minute stroll from your next place of interest – of which there are plenty. Because it’s New Zealand’s capital city, Wellington is home to a disproportionate amount of cultural institutions for its size, including New Zealand’s National Museum, Te Papa Tongarewa. There are also numerous other galleries, art house cinemas and theatres to satisfy even the most discerning culture enthusiasts. No trip to Wellington would be complete without soaking up the bohemian vibes of Cuba Street, the heart of Wellington’s culinary and creative scene. The Cuba Quarter is where you’ll find all the action. The streets are filled with musicians busking and people dining al fresco. It’s the place to come for those looking to people watch and soak up the city’s atmosphere. The street is so significant to the city of Wellington, it has been a registered as an area of historic significance under the Historic Places Act of 1993. Wellington is a haven for foodies and boasts a bewildering array of world-class restaurants, hip cafes, and modern craft beer breweries. Quite simply, this is a city with all the ingredients for a delightfully indulgent getaway. A stroll through the city will give you a sense of just how many fantastic eateries there are. The quality of the food in Wellington is thanks in part to its location, nestled between harbour and farmland. This access to world-class produce gives everything a distinct local flavour with a heavy focus on seasonality. Constant competition between the city’s innumerable eateries means standards remain consistently high. Wellington’s surrounding region is unmissable and well worth exploring when visiting the city. The easiest way to get around the city’s outskirts is with a rental car. This offers you the opportunity to choose a designated driver and set out to explore the award-winning wineries and discover what all the fuss is about New Zealand’s world-renowned Pinot Noir. Another highlight of Wellington can be enjoyed by driving your rental car to the summit of Mount Victoria at sunset. Here you can savour panoramic views of the city and the surrounding waterfront as the light declines before heading back into the city for an evening meal. If your thirst for adventure still hasn’t been satisfied, it’s easy to embark on an onward journey and explore New Zealand’s South Island. The 92 kilometre ferry journey between Wellington and Picton takes approximately three hours and is famous for being one of the most beautiful boat journeys in the world. And when you arrive on the South Island, you can pick up a Hertz rental car from the Wellington Inter Island Ferry Terminal and set out to road trip your way around the South Island. Wherever you want to go, you’ll get there in a rental car from Hertz. Want to make the most of your stay in Wellington but not sure where to start? Check out our guides to getting around the coolest little capital in the world.